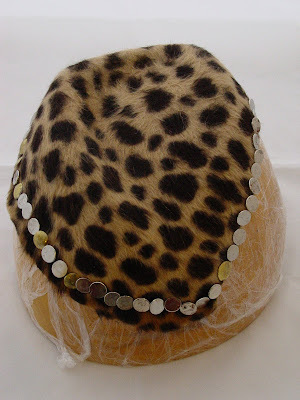 Working on a velour felt [VERY SOFT) animal print little cocktail hat for the shop. Not quite sure how I will trim it but I love the shape,would team well with a 1940s style suit don't you think? Busy week ahead, I have even started to twitter www.twitter.com/hattherapyNow all I need to start on is a new look website.You know how it is when you have loads of free time on your hands.!!!!!!! 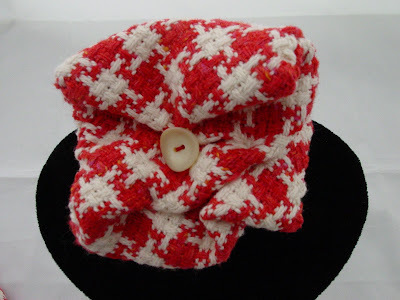 Great for those chilly mornings which seem to have come around very quickly.Also thought a little corsage might add a dash of colour to a winter coat. All available in the shop or by phone if you can't live without one. Thursday; Yesterday had a phone call from the Jeremy Vine show on radio two,asking if I would like to be involved in the show as they were covering a piece on the recession and how it had affected different people in business. 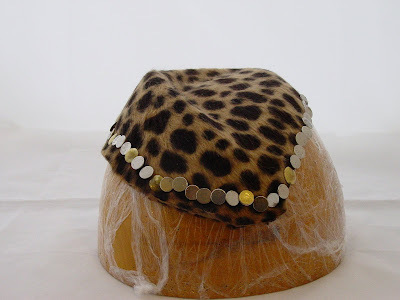 I think I will make myself the unofficial milliner to the show.!!!! 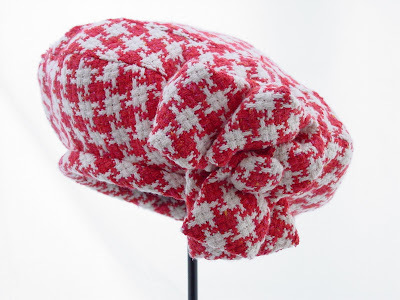 Still making the rain hats but have made some new berets including a tweed hounds tooth check in tomato red. 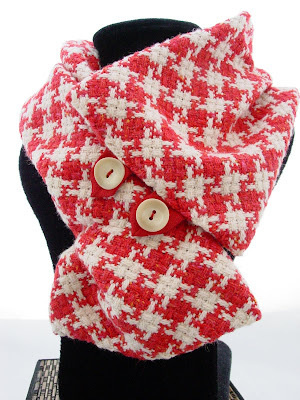 Hounds tooth check is very IN this winter so get yourself kitted out and stride out in style.